There is no doubt that Google Adsense is indeed one of the easiest and best monetization methods that any blogger and make use on his blog. Media.net Also known as Yahoo/Bing Advertising Network is a great Alternative to Google Adsense. Its Ads and features are quite similar to Google Adsense and they are quite lucrative as Adsense (in terms of earnings). They have lots of features and they support mobile Ads. You have the opportunity to customize your ad units in terms of style (size, color, shapes) so it blends better with your respective blogs & website. Infolinks is one of the most popular Google Adsense Alternatives; I have been seeing it on lots of blogs in recent times and its earning potential is good. Infolinks offer in-text advertising for your site and they pay you per clicks on the ads. They don’t pay you per impression but rather per click. Infolinks will turn keywords into your blog posts to advertisement links and it displays an advert when your visitors hover their mouse over the link. The best part about Infolinks is that it doesn’t take up space on your site; their system will just automatically turn keywords into your content to ads. They also offer Intag Ads, Research and InFrame Ads. Chitika is a great alternative to Adsense and a lot of bloggers have found success sing this Ad Network. Chitika offers search-targeted, mobile, and local ads to best target your users. Chitika's Search Targeted Ads ensure that the ads on your site are seen by users who are interested in the ad content. Chitika's Local Ad Exchange allows you to display local ads to your site's visitors based on their location. Chitika's mobile ads cater to the needs of advertisers and publishers looking to target and monetize traffic on the go. 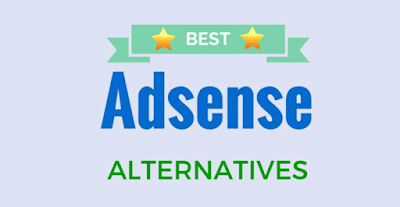 Kontera is one of the best alternatives to Google Adsense. Kontera offers in-text advertising, something similar to Infolinks which I mentioned above. Kontera does not take up additional ad spaces on your blog, rather, they analyze your site’s content and turn relevant keywords or phrases into hyperlinked text ad. Kontera provides publishers with incremental advertising revenues from their mobile or PC web pages. The ads customizable, that means you are able to alter the color of the hyperlinks, control the density of text links or even restrict turning any specific keywords into a text ad. MadAds is an Ad network that I stumbled upon recently. I believe MadAds has a great potential to be a good alternative to Google Adsense. MadAds offer a wide range of campaigns which includes: CPM, CPL, CPA and CPC. Check MadAds out to see for yourself what they have to offer. Clicksor is another popular Adsense alternative that you can use on your blog. According to Clicksor, "Publishers can get paid 60% of advertising revenue generated by the website. The actual rates may vary depending on website performance and market conditions. The geographic location of your site traffic levels can also play a part in determining your overall revenue potential". Clicksor offers a variety of Ads format which is: Inline Text Links, Text Banners, Graphical Banner, Pop-Unders, Interstitial Ads. Qadabra is an alternative to Google Adsense that I also stumbled on recently, It is a Banner Ads platform that lets you make money from your blog by placing banner ads at various positions on your blog. Qadabra is a straightforward, self-serve ad platform created for publishers looking to monetize their website traffic and earn revenue through performance-based advertising. Buy Sell Ads (BSA) is a great alternative to Adsense that lets you monetize your blog by selling direct Ad spaces on your blogs. Buy Sell Ads has a lot of features that will help you monetize your blog effectively and they are widely used by most top blogs and Pro bloggers out there. They offer a range of Monetization options like Tweets Monetization, Apps Monetization, Email Monetization, Ross Monetization and mobile Web. Make sure you check them out to see what they offer. Adclick Media is a popular Ad network which is also a good Adsense alternative. Adclick Media offers pay per click earnings opportunity for bloggers and website owners. 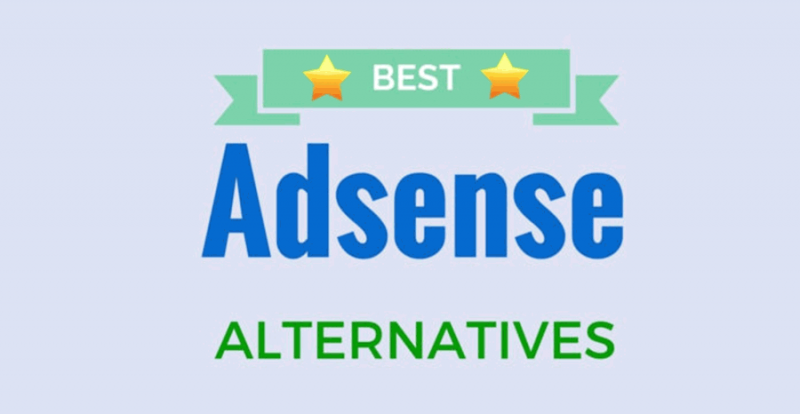 Adside is an alternative to Google Adsense with similar Ad types and more Ad formats that will Sky-rocket your earnings. AdSide is a pay-per-click ad network serving quality content publishers, advertisers, and media agencies. They offer some great ad types and placement such as Margin Ad, Corner Ad, Toolbar Ad, Sidebar Ad, Banner Ad, inImage Ads, inVideo Ads. You need to visit them to see the demo of how these Ad types look.